An air conditioner commonly known as an aircon is a device that expels heat from the air inside a closed space such as a building or a vehicle and strives to lower the temperature of the air in that space. As a matter of fact, air conditioning interferes with the properties of air such as temperature and humidity to create suitable conditions. In Singapore, there has been an increased demand in aircons because of the tropical rainforest climate meaning that the weather normally is warm and wet hence temperature levels can be high at times. There are three main purposes of air conditioning; to evenly distribute the air that has been conditioned in the space occupied. Moreover, it improves the quality of air in the space and aims at providing maximum thermal comfort. Additionally, they are used in some processes to provide a conducive environment for these processes to occur well; these processes include operations in hospital theatres and chemical processes in the laboratories. Although aircons can be very helpful especially in closed spaces that do not have much free flowing air, there are some disadvantages that come with its use, especially for a long time. There are many types of aircons that are used in Singapore, they include;• Window aircons which enclose all their components in a single box that is mounted on a window. In Singapore, these aircons are commonly found in houses that were built a number of years back and were designed to have spaces on the wall for window aircons. • Portable aircons are another kind that also have all the components enclosed in a box. Just like the name suggests, this aircon can be moved from one place to another and is not entirely fixed to one point throughout. 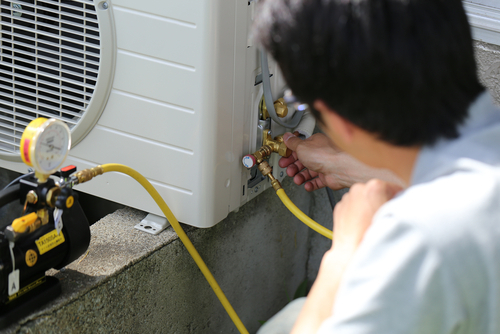 This aircon has a hose that is connected to the window so that it can expel out the hot air from the closed space, however, these portable aircons tend to be very noisy. • Split aircons are the most popular in Singapore because people prefer them to others since they are quiet and not noisy. They have two type of units; one to be used indoors and another one for outside. Moreover, they look more presentable in a house. 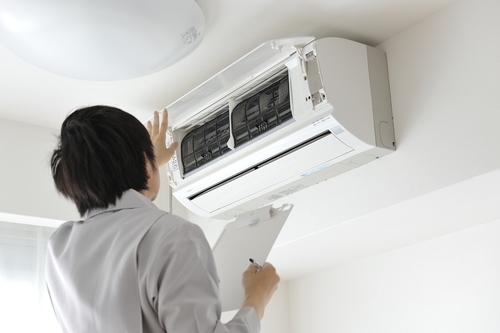 • Cassette aircons are more or less similar to split aircons in that they occur in two units. However, the great thing about cassette aircon is that they occupy less space since they are mostly fixed on the ceilings of buildings. Everyone dislikes having a faulty aircon that does not work well and will try as much as possible to have it repaired so that it can function like normally. 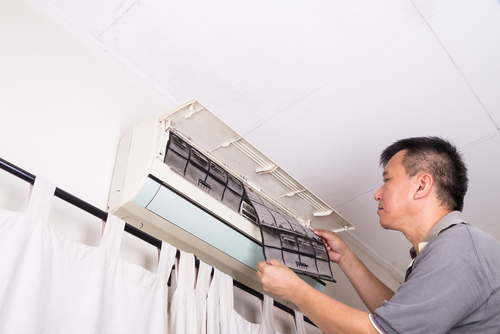 There are different things that can make an aircon faulty and bring about the need to repair some aircon parts or replace the whole thing all together. There is usually a possibility of an aircon leaking and having water dripping from the aircon’s fan coil making it inefficient in cooling the air in the room. Moreover, some aircons may just stop performing; the machines usually switch off themselves anyway without human input. Another demerit of aircons that some of them tend to have is be very noisy as they can irritate the owners and bring distractions. If you want to ensure that your aircon works well, it is necessary to maintain it well by following the instructions you were given by whoever installed the aircon for you. It is usually advisable to minimize the repairs as they do not really fix the situation but simply prolong the time that a complement replacement will be needed. Moreover, the better option usually would be to simply replace the aircon instead of repairing it each time you notice a fault. Replacement usually comes with a guarantee in case of any problems and will cost you less than having to repair the parts of the aircon each time it malfunctions. Moreover, when you get a replacement, the new fan coil and compressor are of the latest technology which makes it more efficient in serving its purpose unlike when you repair and will simply need to replace the exact kind of part. To add onto that, repairing an aircon may take some time as it may become difficult to obtain some of the spare parts especially for the older versions of the aircons. On the other hand, when one replaces the aircon, you can easily find an aircon that suits you best easily. You have the option of choosing an individual who has the skills of dealing with aircons and air conditioning or can simply opt to go with a company that basically deals with these. You need to get a person or company that is qualified and has the necessary skills to deal with all your issues relating to your aircon. They should have undergone the necessary training that will be required when dealing with your problem. Moreover, they should have years of experience in the sector that will come in handy when it is necessary to know about the best aircons to use, where to get them, how to install them and how to maintain them well. It is more advantageous if you get a person or company that has been referenced to you by other people as you are bound to get quality service for your money. Most importantly, they should take safety precautions when handling aircons in your home, office or business place as safety should be their first priority. All in all, replacement of aircons is definitely the better option of handling faulty aircons. However, before you decide to have these repairs or replacements done, be sure to get professional help from qualified personnel and have that air conditioning that you need.